Tide gauges in such areas are anchored an average of 20 meters into the earth rather than at the ground surface. “As a result, tide gauges do not record subsidence occurring in the shallow subsurface and thus underestimate rates of relative sea-level rise,” said Keogh, a fifth-year Ph.D. student and lead author of the study. An alternative approach is to measure shallow subsidence using surface-elevation tables, inexpensive mechanical instruments that record surface elevation change in wetlands. 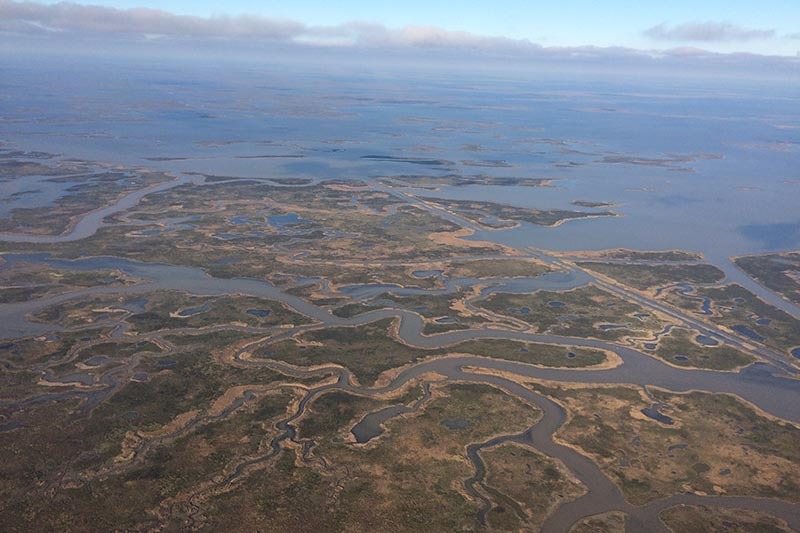 Coastal Louisiana already has a network of more than 300 of these instruments in place. These data can then be combined with measurements of deep subsidence from GPS data and satellite measurements of sea-level rise, Keogh said. Rates of relative sea-level rise obtained from this approach are substantially higher than rates as inferred from tide-gauge data. “We therefore conclude that low-elevation coastal zones may be at higher risk of flooding, and within a shorter time horizon, than previously assumed,” Keogh said.